My lovely significant other cooked up this one. 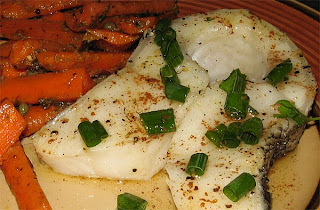 Chilean sea bass in a browned butter and lemon sauce, with scallions. Side of braised carrots with capers. Delicious!